♫ This is a FOUR page PDF file that all singers will find very useful. 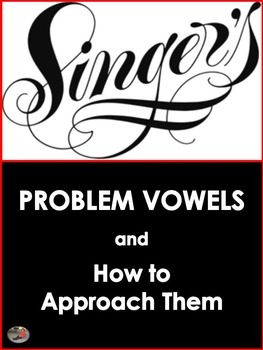 ♫ It lists alternative vowel shapes to sing when certain notes/words prove difficult. ♫ Great as a handout for vocal students or print off and laminate/place in a frame and display in your choir or vocal studio, rehearsal room or classroom!